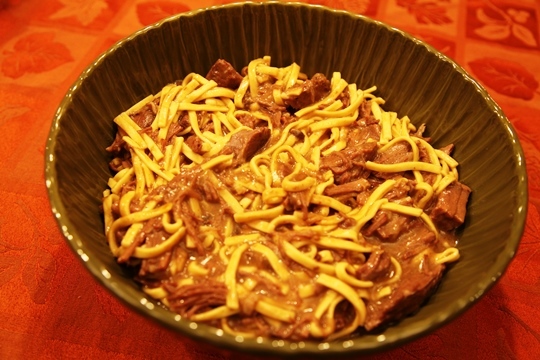 This Beef and Noodles recipe is one of my favorite go to recipes for an easy family dinner. 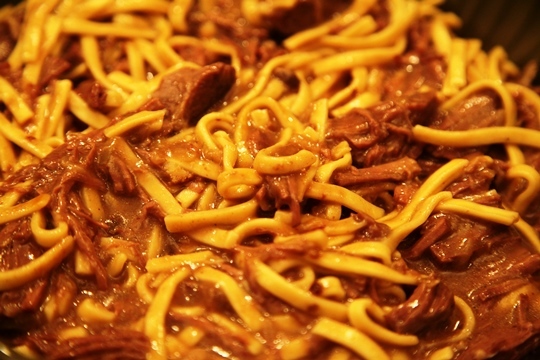 With this recipe on hand you will have the answer to “What’s for dinner tonight?” This Beef and Noodles recipe is real comfort food. 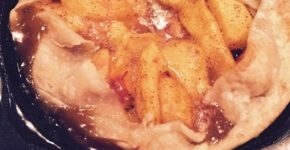 I love to make this on a cold winter day like today and it is super easy to make. This bakes in the oven for 4 hours so it’s a great recipe to make when you have other things to do because the oven does all of the work. 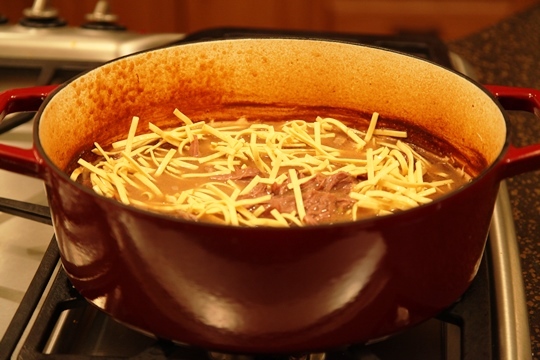 Combine soup mix and water in a roasting pan; stir in soup. Place roast in pan on top of soup mixture. Remove roast from oven and shred the meat, using two forks. 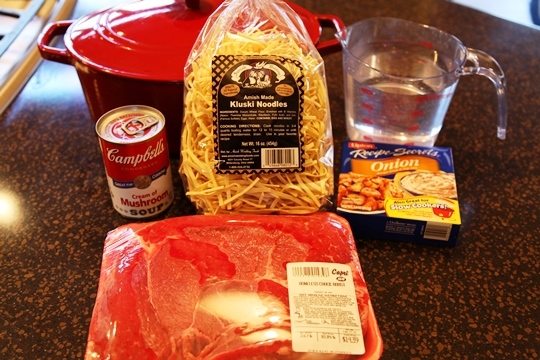 Add the dry noodles to the shredded roast in the pan and add an additional 2 cups of water. Reduce the oven temperature to 300 degrees. 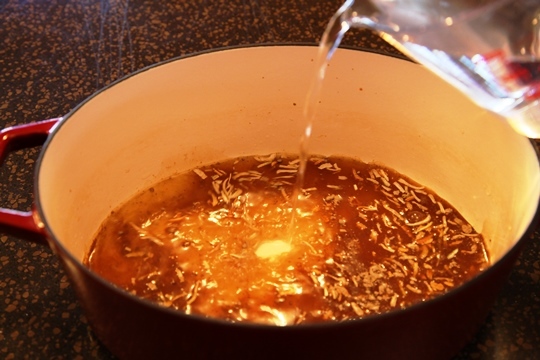 Cover and bake an additional 30 minutes, stirring after 15 minutes. 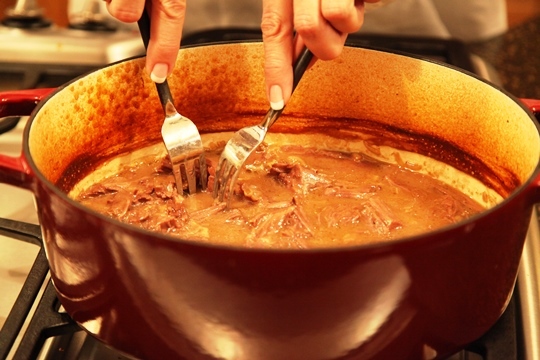 Combine onion soup mix and water in a roasting pan; stir in the cream of mushroom soup. Place roast on top of the soup mixture. Cover and bake at 350 degrees for 4 hours. ( Yes…4 hours!) 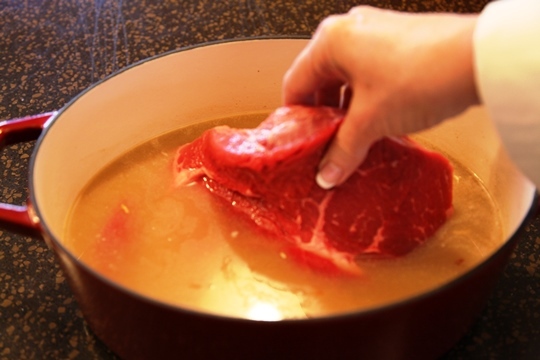 Remove from the oven and shred the beef using two forks. 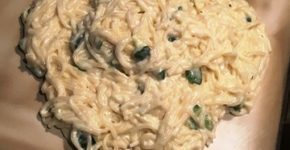 Add the dry noodles and additional 2 cups of water to the pan and stir. Reduce oven temperature to 300 degrees. Cover with the lid and return to the oven for an additional 30 minutes. 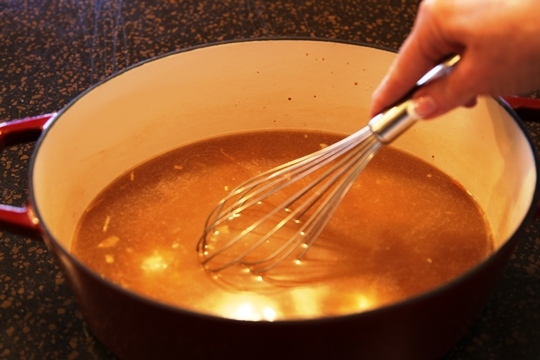 Stir after 15 minutes. 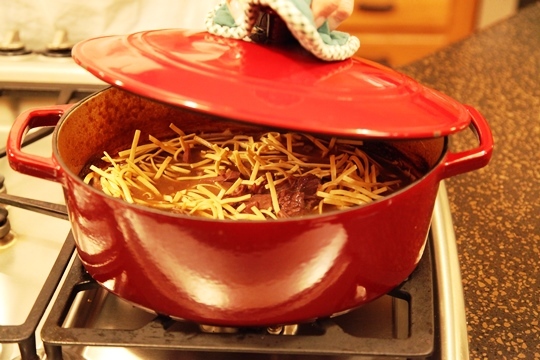 I always use my Dutch Oven for making Beef and Noodles. Here is a great special on a Dutch Oven for all Make Life Special readers! Only $ 49.95!